For your growing family, few vehicles can match the convenience of a classic minivan. While many models sacrifice style and modern refinement for utility and economy, the Chrysler Pacifica lets you experience the best of both worlds. Redefining the minivan segment with its introduction in 2017, the Pacifica features some of the latest technology and modern innovations, as well as sleek styling and several sporty powertrain options. Stand out among the carpoolers, and hit the road in a brand new 2018 Chrysler Pacifica. What options do I have for the Pacifica's powertrain? Standard powertrain for the 2018 Pacifica is driven by an award-winning 3.6-liter Pentastar V6, which puts out 287 horsepower and 262 pound-feet of torque. 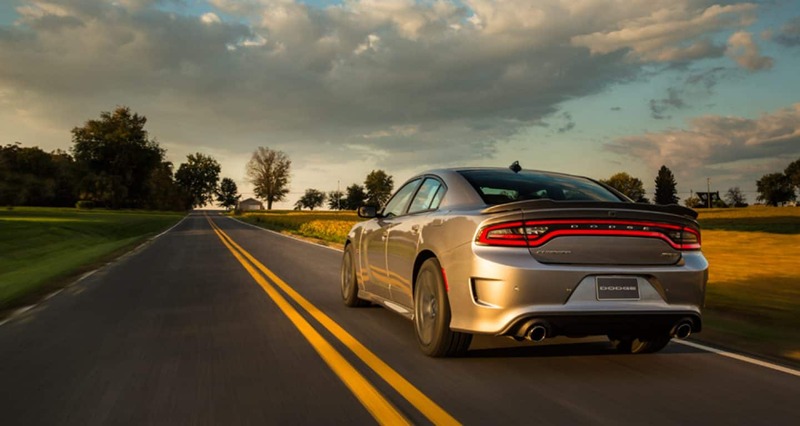 Paired with a standard nine-speed automatic transmission, the V6 achieves up to 28 miles per gallon on the highway, and has a best-in-class towing capacity of up to 3,600 pounds! For those seeking even greater efficiency, the Pacifica is offered with an available hybrid powertrain. Combining a gasoline engine with a 16-kWh lithium-ion battery, the Pacifica hybrid offers a fuel economy of up to 84 miles per gallon equivalent. With an incredible driving range of up to 566 miles per tank, the Pacifica hybrid is perfect for long road trips, while the ability to travel up to 33 miles on exclusively battery power means that many shorter trips and around-town errands can be completed with zero emissions or fuel use. Recharging is easy with an available 240-volt charger, and the Pacifica's battery can be completely charged in two hours. What trim levels and features are offered with the 2018 Pacifica? There are six trim levels available for the regular Pacifica: L, LX, Touring Plus, Touring L, Touring L Plus and Limited. The Pacifica Hybrid, meanwhile, is only available in the Touring Plus, Touring L, and Limited trims.Across the board, 2018 Pacifica models are very well-equipped. The base L trim has a huge variety of standard features, including keyless entry and ignition, a rearview camera, USN and auxiliary ports, Bluetooth connectivity, heated exterior mirrors, a 7-inch Uconnect touchscreen, blind-spot monitoring, and dual-zone automatic climate control. Moving up through the increasing trims, additional features become standard, such as remote start, leather upholstery, a power liftgate, an 8.4-inch touchscreen, heated front seats, and Chrysler's exclusive Stow n' Go seating. Many trims also include the option to add on available feature packages, such as a navigation system with the largest and most-advanced Uconnect touchscreen interface, and a rear entertainment system with two ten-inch touchscreens, an HMDI port, and DVD and Blu-ray capability. Other available features include a dual-pane panoramic sunroof and an integrated Stow n' Vac vacuum. What safety and security features are available for the Pacifica? Prepared for anything and everything, the Chrysler Pacifica earned an Insurance Institute for Highway Safety "Top Safety Pick Plus" rating in 2017. Standard safety equipment includes blind spot monitoring, a rearview camera, rear parking sensors and a suite of advanced airbags. Many more advanced safety features and technologies come standard on higher trims or available for additional. These extended features include Full-Speed Forward Collision Warning, LaneSense Lane Departure Warning with Lane Keep Assist, Adaptive Cruise Control with Stop and Go, a 360-degree Surround View Camera, and Parallel and Perpendicular parking assistance with semi-automated parking. As the only minivan to have earned such an honor from the IIHS, the Pacifica is a clear standout in its segment as far as safety and security are concerned. If you want your family to travel in as much comfort and safety as is possible, but don't want to sacrifice the style and refinement that you love in luxury SUVs and sedans, you need to check out the Chrysler Pacifica. A clear front-runner in the segment, the Pacifica is incredibly equipped and features some of the latest technology available. Come on down to our lot today and check out why the Pacifica could be the vehicle for you.